Is there a better alternative to Tessellation? 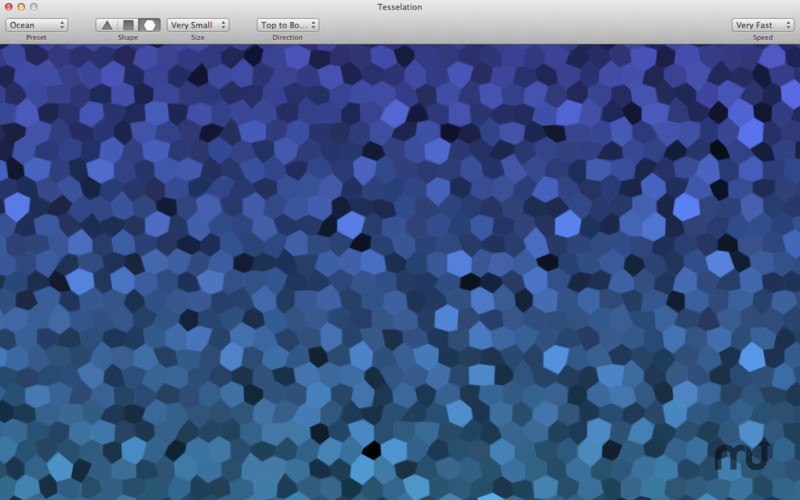 Is Tessellation really the best app in Screen Savers category? Will Tessellation work good on macOS 10.13.4? Tessellation is for you if you're looking for an artful, modern take on the psychedelic screen savers of the past. Lean back and chill with this mesmerizing visual of tessellating tiles. Save your creation as a full-fledged screensaver and turn your idle computer into a work of art. Choose a single color, gradient or rainbow. Select from triangle, square or hexagon tiles. Speed controls adjust the wiggle and color transition rates. Preset themes available for quick configuration and much more! Tessellation needs a review. Be the first to review this app and get the discussion started! Tessellation needs a rating. Be the first to rate this app and get the discussion started! Screensavers have even more options available in System Preferences!